Let us elevate your vacation to even greater heights when we reserve a luxury suite or villa, ideal for families, gatherings of friends or simply an indulgent escape for two. Revel in spacious accommodations, a higher level of service and valuable benefits worth up to $500 per stay at 400 participating hotels and resorts worldwide. Thanks to our relationships with the world’s finest places to stay, you’ll enjoy breakfast for two daily, a special benefit such as a $100 dining or spa credit* and complimentary Wi-Fi, as well as early check-in and late check-out whenever possible. When you reserve a qualifying suite or higher category, you will also receive an additional benefit worth up to $150 such as a resort credit, airport transfer or dinner for two during your stay. 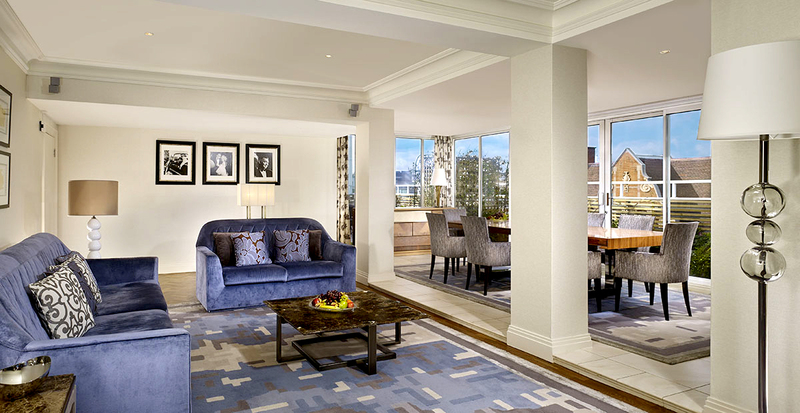 Click the button below to read more about our exclusive Suite Privileges. *Complimentary Benefit varies by property and may be subject to change. Discover the finest hotels and resorts offering the accommodations that are perfect for your next vacation. Whether you’re planning a grand tour of Europe for the family or a romantic beach escape for two, our exclusive collection includes more than 1,000 properties handpicked for travelers like you. Plus, when we secure your reservation, you’ll receive insider access to special privileges such as daily breakfast, early check-in, late check-out and more. All of these benefits are in addition to competitive rates and VIP status on property, to ensure you feel welcome and special throughout your stay. From the rich, heady spices of Marrakech to fresh mountain air, Kasbah Tamadot is your home base to explore the High Atlas Mountains. 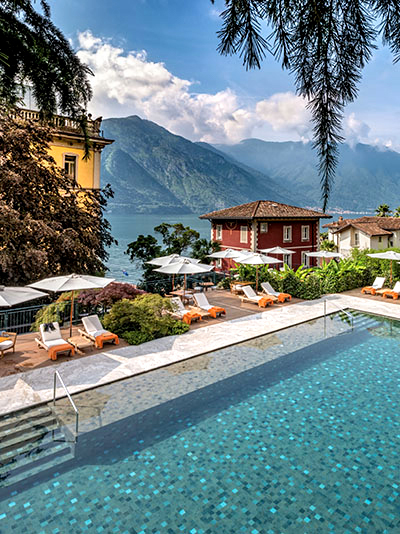 The beauty of Italy dazzles as you dip into Grand Hotel Tremezzo’s pool floating in Lake Como. At the Resort at Pelican Hill, Southern California’s golden beaches and crystal-blue waters beckon you to surf, swim and sunbathe. Whether you’re looking to take things slow or get active, these hotels and resorts offer both relaxing and revitalizing stays. Kasbah Tamadot, part of the Virgin Limited Edition collection, is a magical retreat set in the foothills of Morocco’s High Atlas Mountains. 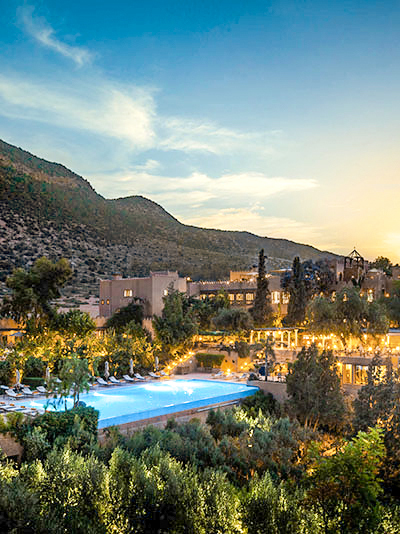 Kasbah Tamadot was bought by Sir Richard Branson during one of his famous ballooning expeditions. This award-winning 28-bedroom and suite property is ideal for rest and relaxation; you can do as much or as little as you like. The hotel itself is a delightful collection of tiled courtyards and gardens, and features a stunning infinity pool. Everywhere you look you’ll discover unique pieces of art, exquisitely carved doors and ceilings, tapestries and much more as you explore the grounds. Located near the village of Asni, Kasbah Tamadot is just under an hour’s drive from the center of Marrakech. 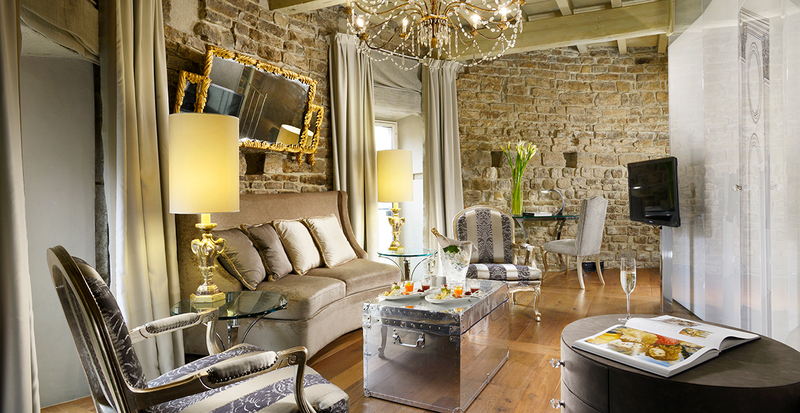 All guests enjoy daily breakfast and a fully stocked minibar. *Restrictions and minimum-night stays may apply. Click the Learn More button for details. 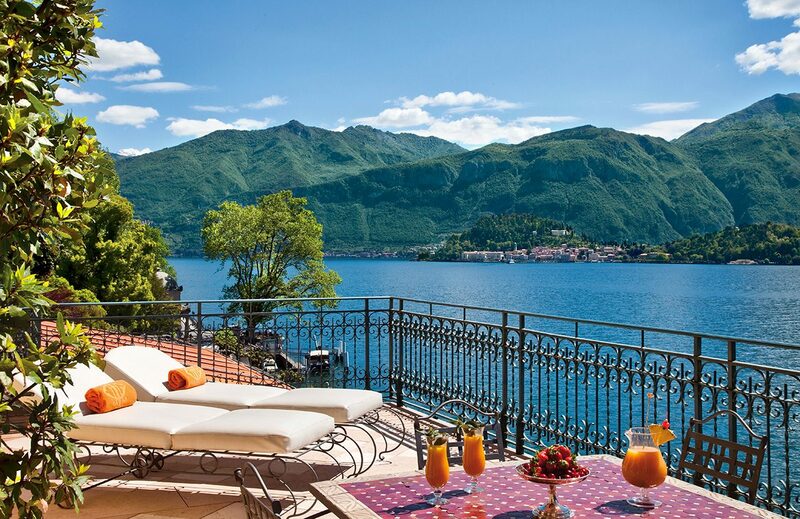 Located in the heart of Lake Como, the iconic Grand Hotel Tremezzo is an authentic Art Nouveau palace offering an entire world of temptations including three pools, a private sand beach, five delightful dining experiences and a prestigious spa offering ESPA treatments. 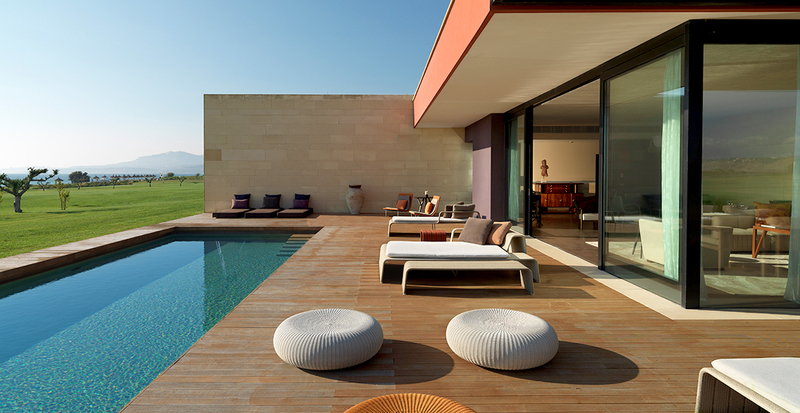 The newest addition includes the magnificent Villa Sola Cabiati, a masterpiece of art, culture and Italian ars vivendi, a perfect background for special occasions and unforgettable private events. Plus, all guests enjoy full buffet breakfasts for two daily. 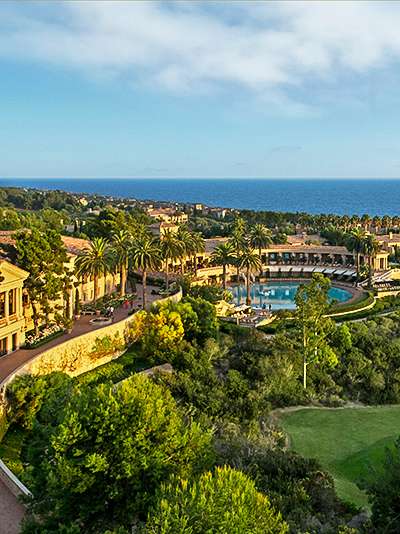 Set along Southern California’s chic Newport Coast® by the pristine Crystal Cove Beach, The Resort at Pelican Hill® is a five-star, Five Diamond destination offering unparalleled service and luxury. Inspired by Italy’s renowned Renaissance architect Andrea Palladio, Pelican Hill is a sanctuary of beauty, sophistication, architecture, exquisite accommodations, ocean-view golf, a five-star spa and unsurpassed pampering, comforts and service. The Resort at Pelican Hill has earned acclaim from Condé Nast Traveler (Readers’ Choice Awards), Travel + Leisure (Top 500 World’s Best Hotels) and Golf Digest (America’s 100 Greatest Public Golf Courses). Located in the heart of some of the world’s most historical, artistic and cosmopolitan cities, these four- and five-star hotels are the ideal home bases from which to set out and explore famous museums, indulgent shops and mouthwatering restaurants. 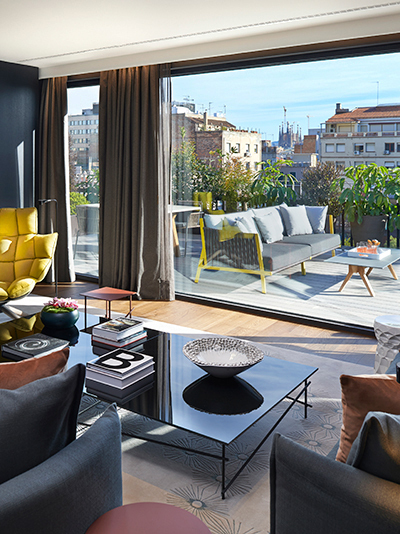 You can delight in Barcelona’s works of art from Goya to Gaudí, then return to the Mandarin Oriental, Barcelona, to your contemporary and classic room or suite with views of Passeig de Gràcia. 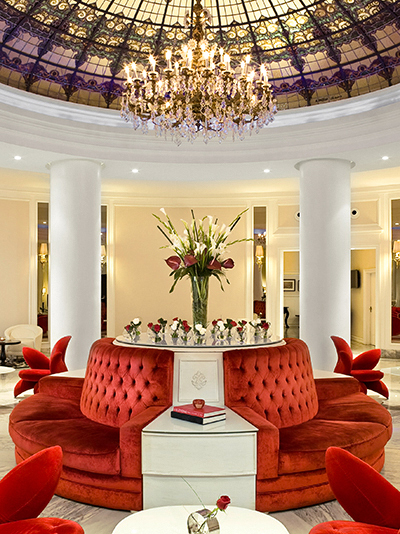 The grandiose Place Vendôme is in your backyard when you stay at the elegant and boutique hotel Castille Paris. And at Conservatorium hotel, located in the Museum Square district, you can relax in the Akasha Holistic Wellbeing Centre after strolling along Amsterdam’s famous canals. 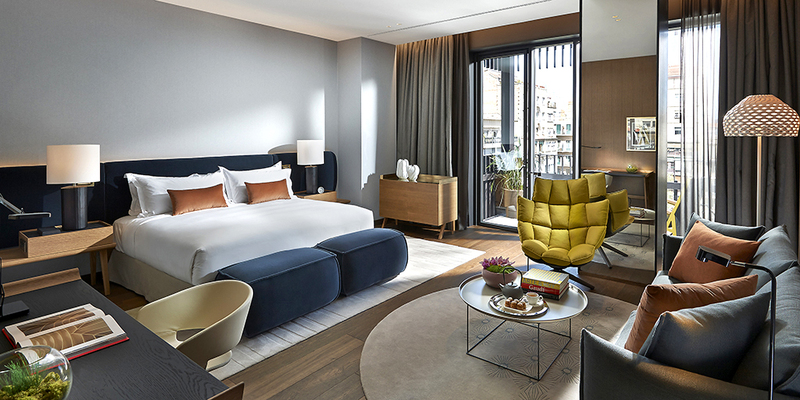 Located on Passeig de Gràcia, Mandarin Oriental, Barcelona is perfectly positioned for you to explore all the city’s major attractions. 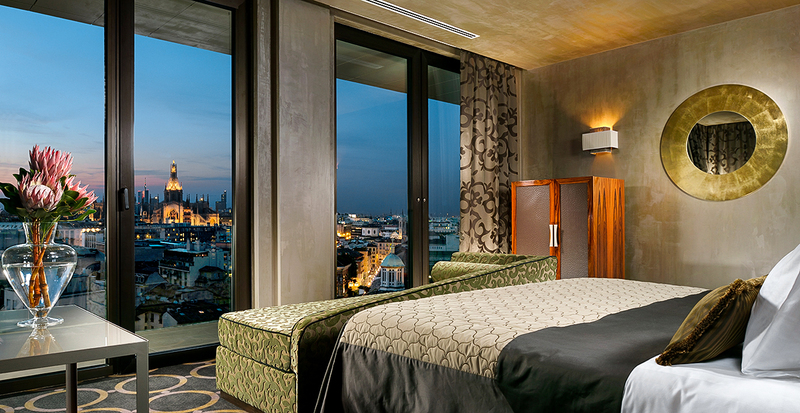 It fuses modern design with timeless style in its 120 rooms and stunning suites. The hotel also offers a luxury five-star experience like no other, with Michelin-starred dining, a trendy Rooftop Terrace, signature cocktails at Banker’s Bar and a highly acclaimed spa. Joy. Perhaps joy is the word that best sums up the essence of Seville. This city, with nearly 3,000 years of history, charms every visitor thanks to the lifestyle of the outgoing and welcoming inhabitants who certainly know how to enjoy and share every moment. Hotel Gran Meliá Colón is the luxury hotel that best represents Seville’s essence, offering unparalleled personalized service with a prime location. Nestled in the center of the first arrondissement of Paris and ideally located between four of the city’s most famous squares — Concorde, Vendôme, Madeleine and Opéra — Castille Paris is a boutique hotel that effortlessly brings the past and present together. From the always prompt yet never hurried service to the elegant interiors accented with 18th- and 19th-century art, Castille Paris exudes the warmth of a private mansion. Plus, all guests enjoy complimentary Wi-Fi. Formerly the Sweelinck Conservatory of Music and now a leading luxury lifestyle hotel, the Conservatorium hotel is known as “Amsterdam’s living room,” evoking glamour and elegance. Located in the Museum & Fashion District, the cultural heart of the city, the Conservatorium is an architectural masterpiece combining a landmark heritage building with contemporary design. This city’s crown jewels — the Concertgebouw, Rijksmuseum, the Van Gogh Museum, Vondelpark and Amsterdam’s most indulgent shopping — are literally at your doorstep and will ensure you have a colorful stay. *Restrictions apply. Please click the Learn More button for details. 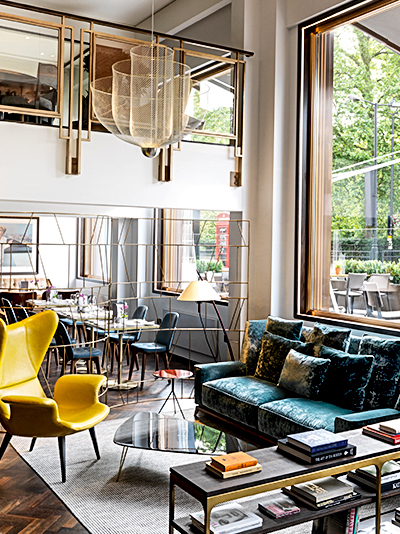 Cool, sophisticated and entirely welcoming, COMO Metropolitan London balances the contemporary and the timeless — a rare achievement for a London modern luxury hotel. 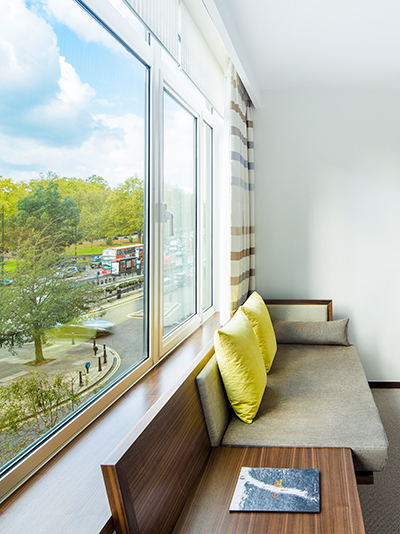 The hotel’s understated style is clean and simple yet accessible and warm. Wellness is a pillar of the COMO brand; yoga mats along with a yoga channel are provided within each room for guests to enjoy. Signature COMO Shambhala cuisine is available 24 hours a day via room service, or treat yourself to dinner at Nobu. Previously the haunt of famed patrons from royalty and celebrity to the creative and the notorious, Hotel Café Royal has been an established and iconic landmark on the British capital’s social scene for over a century. In its recent reincarnation as a luxury hotel, Hotel Café Royal remains an established favorite for locals while becoming a global destination. 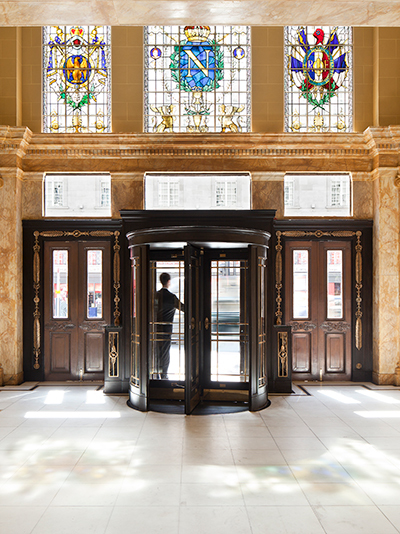 Located in the heart of London, with elegant Mayfair to the west and creative Soho to the east, the hotel is perfectly positioned within walking distance of London’s finest shopping streets, tourist attractions and West End theater. Athenaeum has been reopened following a multimillion-pound refurbishment with Michelin-starred chefs the Galvin brothers now at the culinary helm. It promises an exclusive experience reflecting its proud Art Deco history and welcoming in a new era of sophisticated luxury. The new entrance takes you inside a spectacular two-story lobby and lounge area with floor-to-ceiling windows. This impressive space is peppered with elegant bespoke furniture and flooded with natural light, making it the perfect spot for afternoon tea, a coffee or simply a place to relax and take in the views. 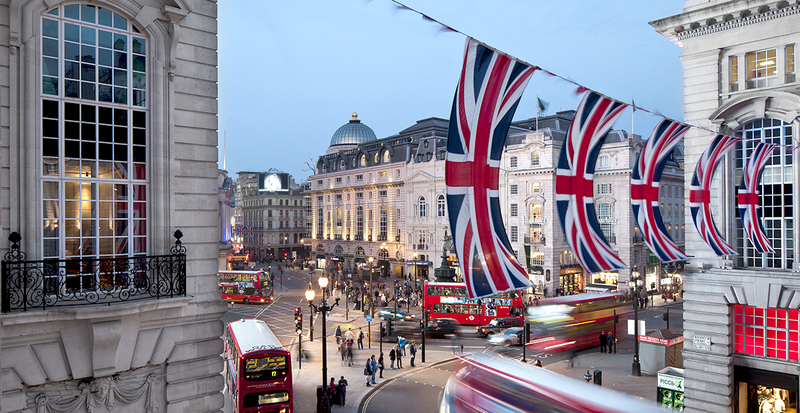 Outside, the new terrace is one of the few outdoor dining areas on Piccadilly. 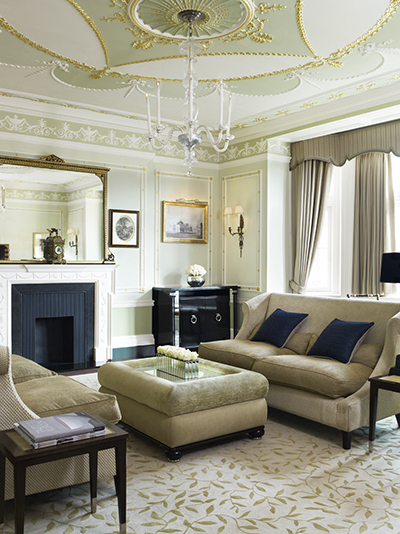 At the beating heart of London’s Mayfair Village, The Connaught redefines the British luxury experience and is an expertly judged blend of tradition with the utmost modernity. 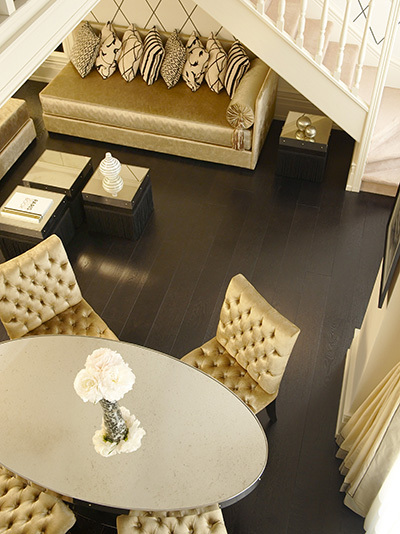 The Connaught is the insider’s choice for connoisseurs in the art of living well. Consider one of the magnificent rooms and suites, experience informal gourmet dining with the eclectic and imaginative menus inside Jean-Georges at The Connaught and savor expertly made cocktails at the Connaught Bar. For a place to unwind, the calm retreat of Aman Spa is a must. Just steps from Rodeo Drive, this hotel represents a modern version of old-world simplicity with European glamour, providing today’s traveler with a comfortable and effortless experience. 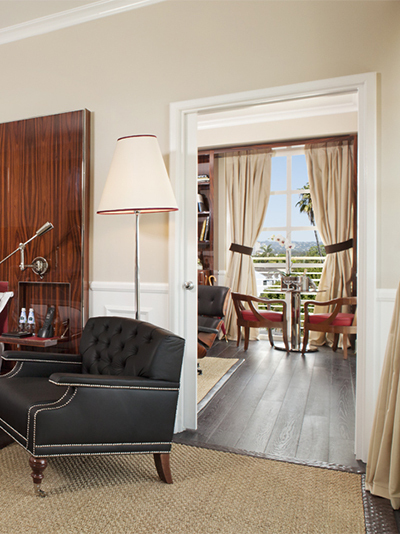 Each of the 137 guestrooms offers a private balcony with views of LA. Additional amenities include a pool with private cabanas; The Restaurant at Mr. C, featuring classic Cipriani dishes; the Starlight Ballroom with panoramic views; and a spa and fitness center. Mr. C will offer a limited collection of five residences featuring luxury amenities and white-glove service in the privacy and comfort of home. Call us today and we'll begin crafting your ultimate vacation.